Yesterday I painted in my very personal journal. 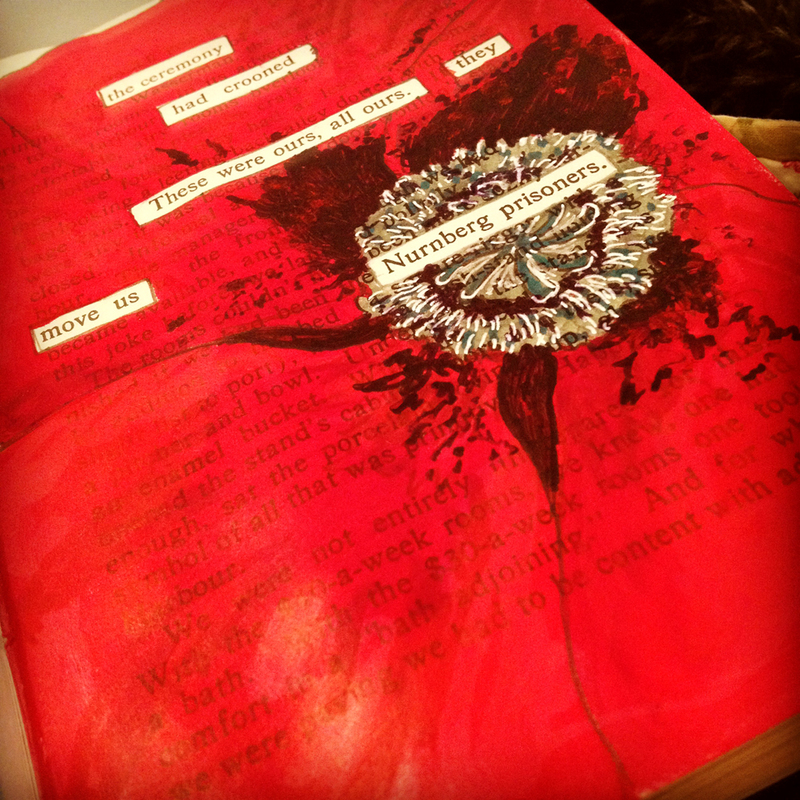 I found some words and painted a poppy around them. Today I spent Remembrance Day with my mother. We remembered my father and his years of dedication to veterans as the head doctor of the Vancouver chapter of Veterans Affairs Canada. 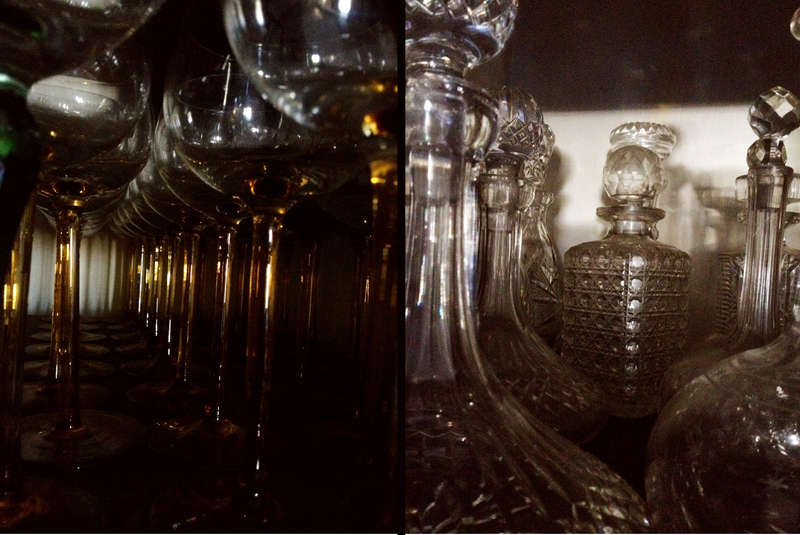 After lunch, while mom filled out some paper work, I riffled thru dad’s glass collection. I love his collection of sparkly shiny glass. 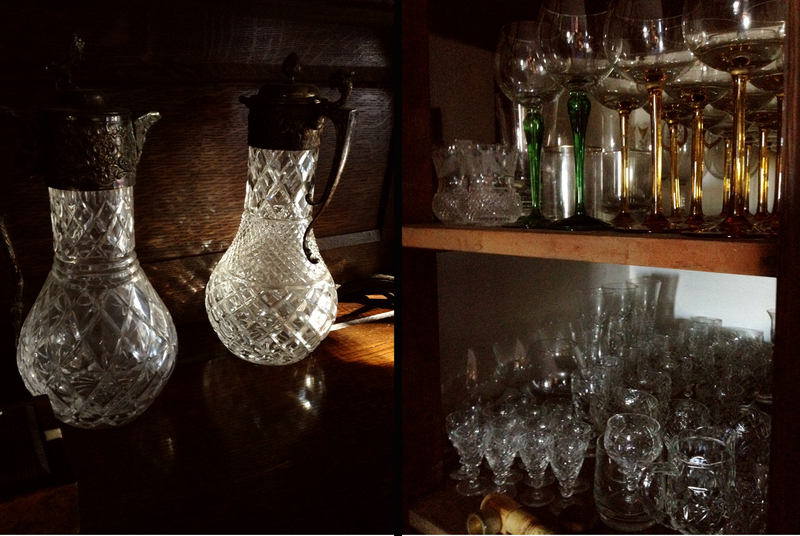 Some ancient Pompeii glass, some modern Waterford crystal, some rare medieval pieces he picked up at auction. And then, from the very back, I pulled out this strange little etched goblet. Strange because I have no idea where dad got it, and, now that he’s been gone all these years, I can’t ask him about it. 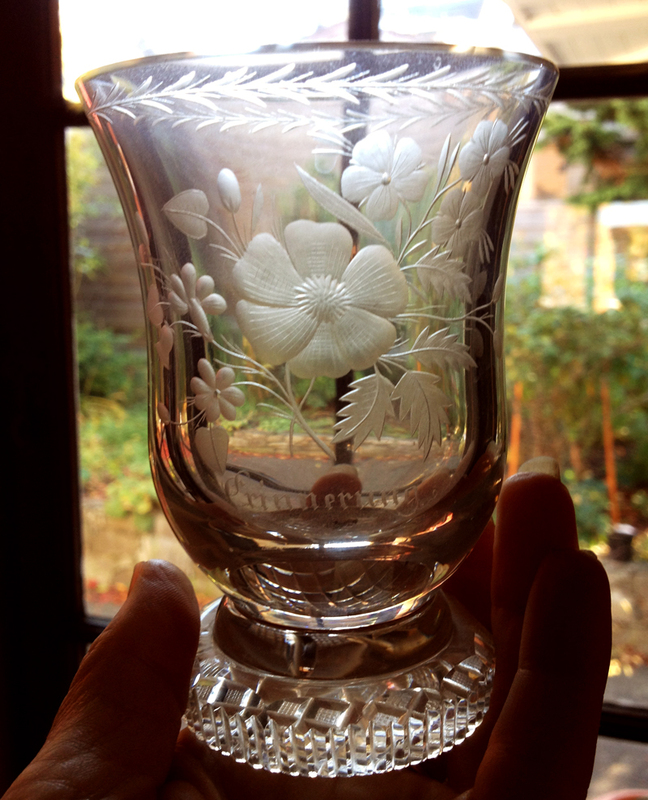 It has flowers etched into the crystal. Maybe some are meant to be poppies, maybe, or probably they are, because under the etching of the flowers is an etched word: “Erinnerung” German for Remembrance. And maybe there isn’t a mystery. Everyone, whether allies or enemy, everyone a person, everyone affected in some way by the tragedy of war. I’ve no idea where my British father got the little goblet with the German word etched on it, but you know what? I’m so glad I found it today of all days. Beautiful tribute for this day. That vase is gorgeous. Thank you so much Ida. I think it’s gorgeous too. A grand way to pay tribute to your father, his collection and this day of remembrance. What a fun nostalgic mystery you have stumbled upon! I think so too Renee. I’ve been trying to find the provenance of that little glass, but no luck so far. There are no coincidences, they say. Lest we forget. A treasure for sure.Have a wonderful day. Thanks for reminding us, and what a beautiful journal! Aw, thank you so much Jennifer. It’s been an emotional week, hasn’t it?